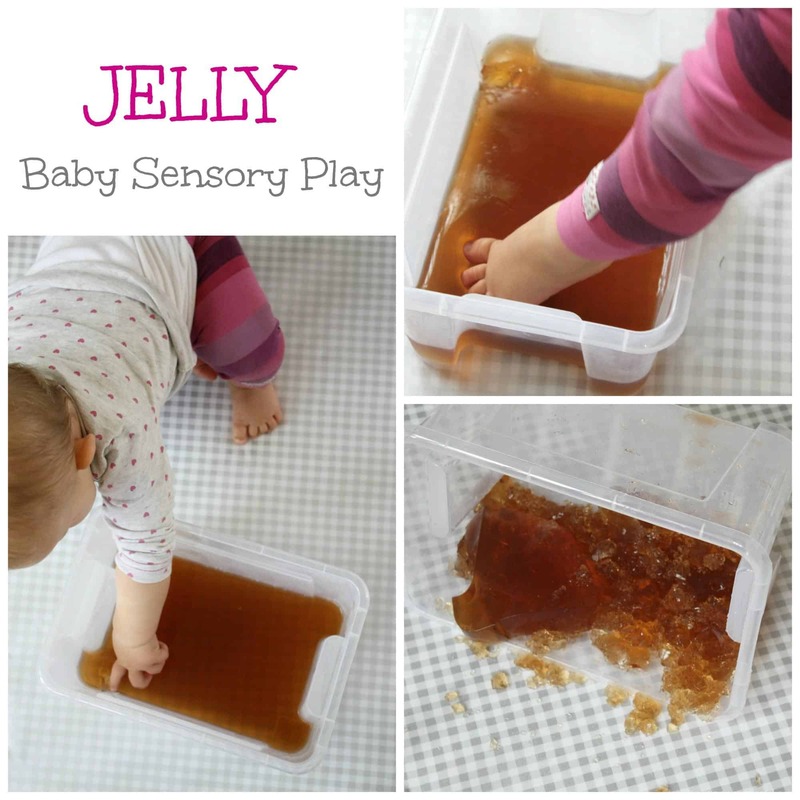 This Baby Sensory play is completely edible and will keep any tiny tot entertained for a very long time! Just to clarify – Jelly as in Jello – the gelatin kind! I have done this several times with both my kids! They love it and it is really such a great thing to watch how they follow the senses! I have done this from 6 months through to 18 months! First they look, they sit and look at the tub of Jelly I put in front of them. When they have tasted the sweet jelly the play is over = and we eat as much as we can!!! You need a tub… and you need Jelly – either store bought or make your own! I used a tub big enough (30 x 20cm) to dig in and put feet in, but not too big – so I did not have to make a zillion liters of Jelly. Choose what ever is easiest for you! Jelly into the tub, wait for it to set and then play play play! !